The first time Amanda Fitzpatrick saw a gathering of queer women of all ages, together, was at the Toronto Dyke March when she was 18. She was so happy she cried tears of joy. Fitzpatrick, a fourth-year speech communications major, fourth-year kinesiology student, Ethan Candler and third-year health studies student Victoria Rodney submitted a successful proposal for a workshop at the Fierté Canada Pride Conference in Ottawa-Gatineau for Pride planning committees from across Canada to come together and work to better their Prides. Their workshop will focus on fostering relationships between queer youth and elders, especially in communities of colour. Candler said there is a gap between generations of queer people. 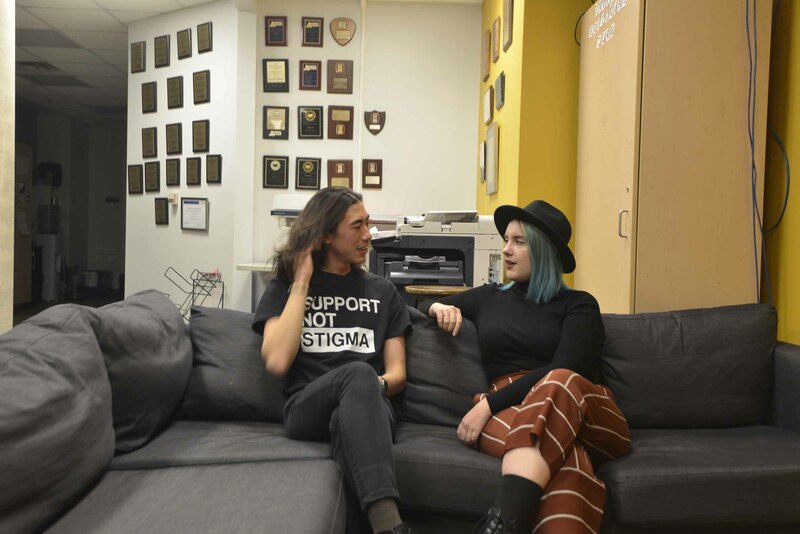 Their workshop will aim to help Pride committees develop events to bridge that gap by addressing causes and finding strategies to bring the community together. The workshop will also focus on the importance of storytelling, which Candler says is a key method of knowledge-sharing, especially in communities of colour. Fitzpatrick also referred to key events in queer history which youth may be disconnected from or unaware of. She highlighted the importance of learning from the experiences of elders involved in events like the AIDS crisis and Toronto’s Bathhouse Raids. “[We are] trying to bring elders and youth together to hear each others’ stories and share knowledge,” she said. Candler and Fitzpatrick both agree that the majority of Pride events are meant for young, gay, white men and are largely centred around the consumption of alcohol and other substances. They feel that, in addition to events for different age groups. Pride also needs to focus on including people of colour in the conversation. This is especially true, Candler said, with the tendency of many white folks, even allies, to dominate spaces not meant for them. Candler said that the group will explore the power imbalance. “Before starting any workshop or speaking engagement, I think it’s always important to address the power dynamics that exist,” Candler said. Candler and Fitzpatrick are optimistic for future Pride events that engage with different types of queer communities. The workshop will be a part of the Fierté Canada Pride Conference taking place in Ottawa-Gatineau from Feb. 7-10. Will high sin taxes endanger your community?